We met another nice couple who have been following our journey. John and Missy, they were also staying at Orchard Beach. We had a great chat, with hopes of meeting up again some day. They dropped off a bag of really yummy and healthy snack cookies for us to take out when we paddle. More water angles. Monday got off to a less than memorable start. We put in at Frankfort intending to make it back to Orchard Beach but were hit with left over wave action from the storm that kept us off the water the last few days. We had tail winds that may have been helpful and pushed us along if they had not been accompanied by 3 foot waves coming at us from 2 directions. We made 5 miles and called it quits. We walked to the home of a local named Glen, another of our Lake Angels. We were picked up at his home. 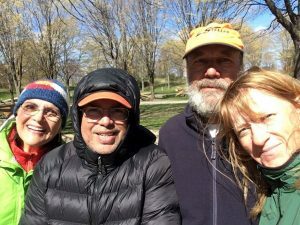 Tuesday we started at Orchard Beach and headed to Frankfort, going the opposite direction was the key. We made our 25 miles. 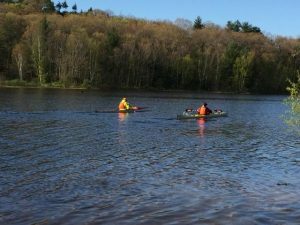 Wednesday we paddled from Orchard Beach to Charles Mears State Park. It was a good day on the water. 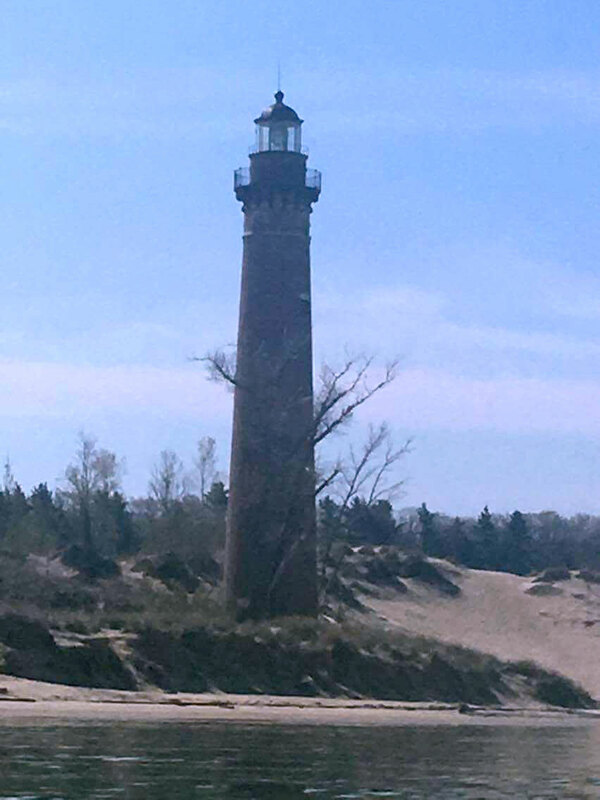 Got a picture of Big Sable Lighthouse, pretty. We stopped at 12:30 for lunch and a little nap. 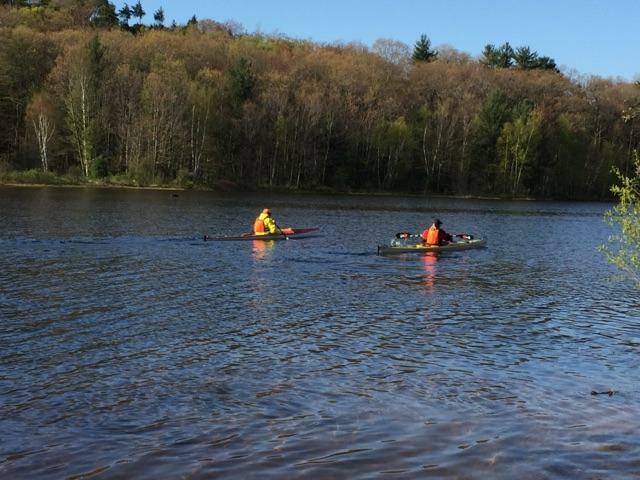 We were able to paddle 41 miles. Camped right on the shore and slept with the pitter patter of rain. Thursday was a 32 mile day ending at Medbery Park Michigan. 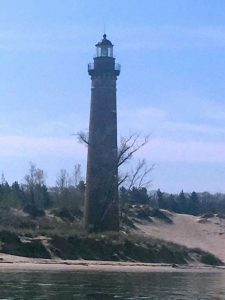 Today’s Lighthouse was the Silver Lake Lighthouse. The first half of the day was great but as happens often things got messy after that. Lots of waves that were quite a challenge but all ended well. 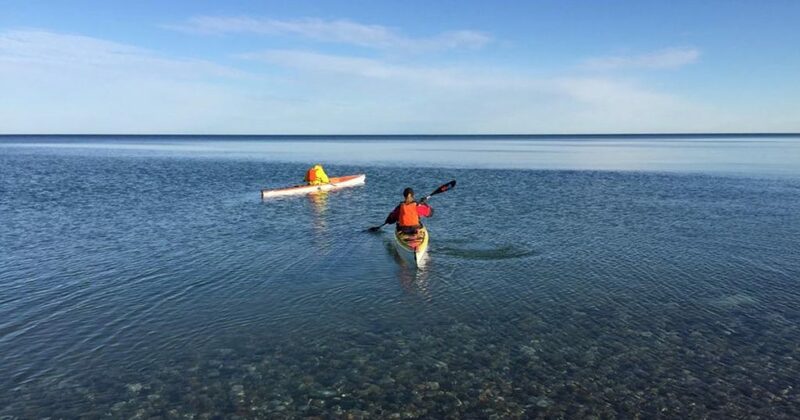 Friday started in Duck Lake and we paddled out onto Lake Michigan, it was different and fun, change is good. Very flat easy paddling the first half then rollers and confused water but OK. Stopped for a rest at the 20 mile mark and ended up calling it good. Lots of boats out this afternoon and they can really mess with your paddling.